MONITOOL project members at Dublin City University during the 2nd partners’ meeting (May 2018). The second partners meeting of MONITOOL took place in Dublin the 9th of May, where results of the recent sampling campaigns (carried out between January and March of present year) have been discussed. 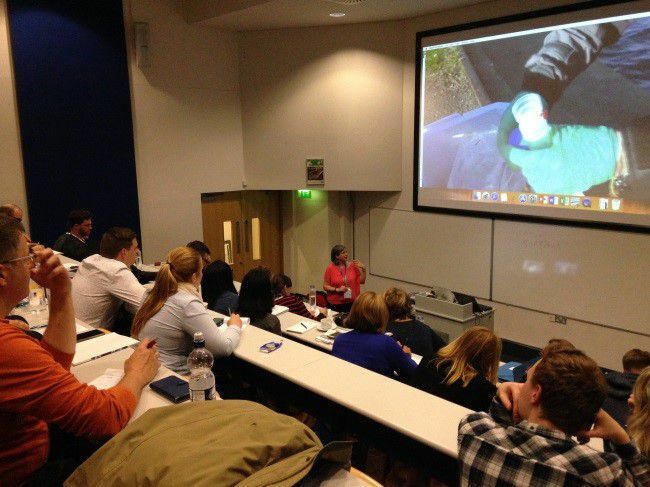 This meeting took place coinciding with the 10th International Passive Sampling Workshop and Symposium, also held at Dublin City University between 9th and 11th May 2018. 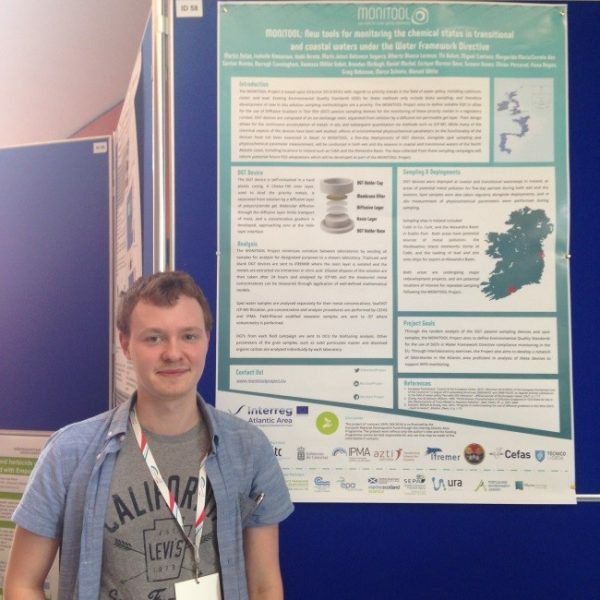 MONITOOL, an Interreg Atlantic Area project funded with 1,5M€, aims to provide a robust database of dissolved and labile metal concentrations in transitional and coastal waters for adapting the existing water Environmental Quality Standards (EQS; 0.45 μm filtered) for passive sampling devices (EQS-DGT) in order to improve and facilitate the chemical status assessment of waters under the Water Framework Directive (WFD). For this purpose, recently the project has concluded their wet sampling campaign, carried out between January and March of current year. 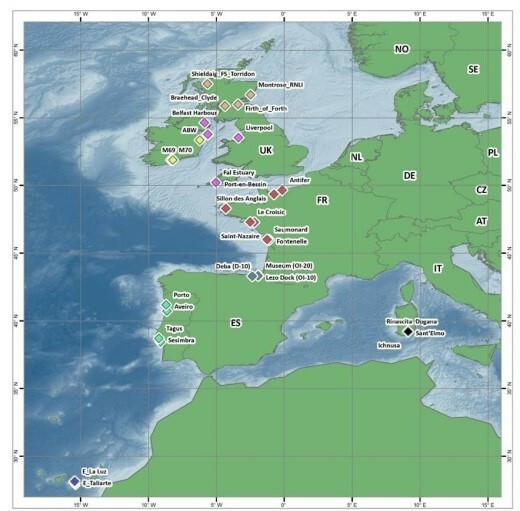 Co-deployments of DGTs and water spot sampling with subsequent DGT and water metal analysis were addressed along the whole European Atlantic Area (from the Canary Islands to the Scottish Highlands and Islands). Stablished protocols for sample collection, treatment and analysis were used in order to guarantee the comparability and reproducibility of the obtained data. During the meeting, partners presented the progress achieved in the different project´s work packages, as well as the details of the first sampling campaign. With the consensus of all partners, next sampling campaign (dry conditions) has been planned for September 2018. It has already been set the next general meeting which will take place on October 2018 in San Sebastian, to be attended also by the nine associated partners. At the same time, within the 10th International Passive Sampling Workshop and Symposium (IPSW), a MONITOOL satellite workshop was organised by partners. In this event, MONITOOL as well as previous case studies and practical considerations for DGT were presented, exploring the potential role of DGTs in a regulatory and legislative context. In the final panel discussion, workshop-participants had the opportunity to debate several aspects of metal contamination evaluation using DGTs with partners from across the MONITOOL consortium. Finally, during the following IPSW sessions, works developed within MONITOOL were presented through a poster and an oral presentation. 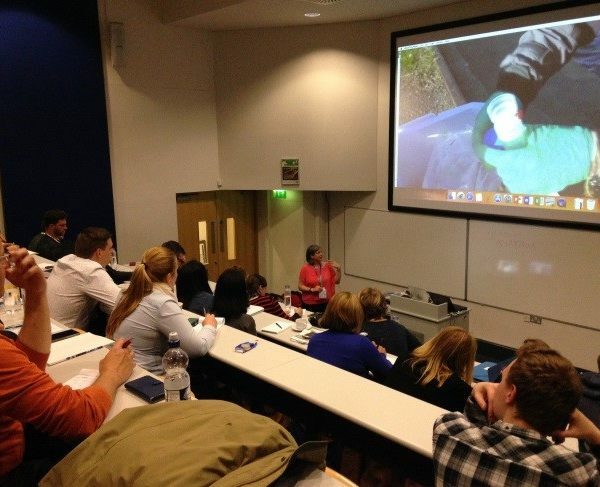 IPSW (https://ipsw.eu) is an internationally recognized platform of experts using the latest techniques for identifying undesirable substances using passive sampling methods in addition to an opportunity for experts to exchange ideas and experiences in this field. 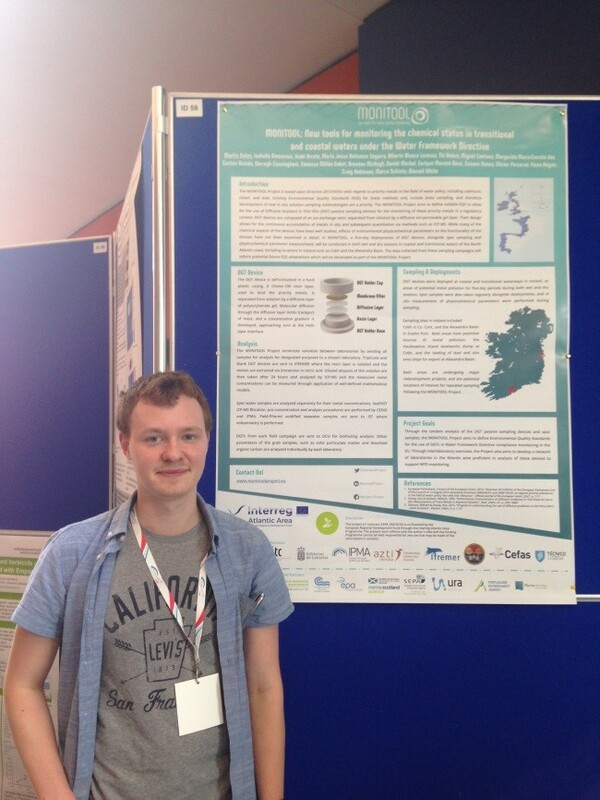 MONITOOL project, leaded by Dublin City University (DCU, Ireland), has other research partners across the European Atlantic Area. They are: Instituto Tecnológico de Canarias (ITC, Spain), Instituto Português do Mar e da Atmosfera (IPMA, Portugal), Fundación AZTI (AZTI, Spain), Institut Français de Recherche pour l’Exploitation de la Mer (IFREMER, France), Centre for the Environment, Fisheries and Aquaculture Science (CEFAS, United Kingdom), Università degli Studi di Cagliari (UNICA, Italy) and Instituto Superior Técnico (IST, Portugal). MONITOOL PROJECT – New tools for monitoring the chemical status in transitional and coastal waters under the WFD – has duration of three years, from July 2017 until June 2020, when it is expected that this methods will be confirmed as a better choice for monitoring the coastal waters than the classical spot water sampling. TOBIN Consulting Engineers & Water Institute Cement Piping Scope Success! The Water Institute is a Research Centre based in Dublin City University.